The Costa del Sol is a British firm favorite for the summer holidays. The coast of Malaga province not only is blessed with beautiful weather, stunning beaches and great cultural history, but is also just a short flight of two and a half hours from the UK, making it a convenient holiday destination. 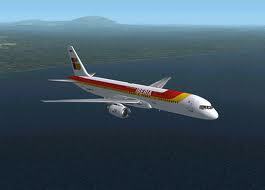 Malaga Airport is the gateway to the Costa del Sol, with beautiful resorts in Marbella, Torremolinos and Benalmadena. In this age of consumer choice, there are more companies competing to sell flights to Malaga than you could possibly imagine. Obtaining cheap flights is one of the keys to a successful holiday on the Costa del Sol, which even gives you the possibility of planning several weekend-getaways for hardly any money. The months of May, June, September and October are golden months on the Costa del Sol, the temperature is very good but the place is not overcrowded and the prices for flights, hotels and car rentals in Malaga are significantly lower. If you travel with your family during the high season, please book your flights as soon as possible. If you can plan your flights on weekdays, all the better, as prices increase substantially during the weekends. Flights very early or very late have very low rates. You can also save a small fortune when restricting your luggage to a small bag. Not having luggage at the airport will save you exorbitant billing prices of so-called low cost airlines which quickly make your apparently cheap flight quite expensive, without having the services of scheduled airlines.